Here it is possible to read (and even print) some of the school’s brochures in Acrobat PDF format. To read / print the PDF files, you will need Acrobat Reader which is free to download from Adobe. When you click the PDF file link you will be asked if you want to open the file or save it to you computer. Please save it and make a mental note of the location of saving. Then doble click the filename on your computer for viewing or printing the PDF file. 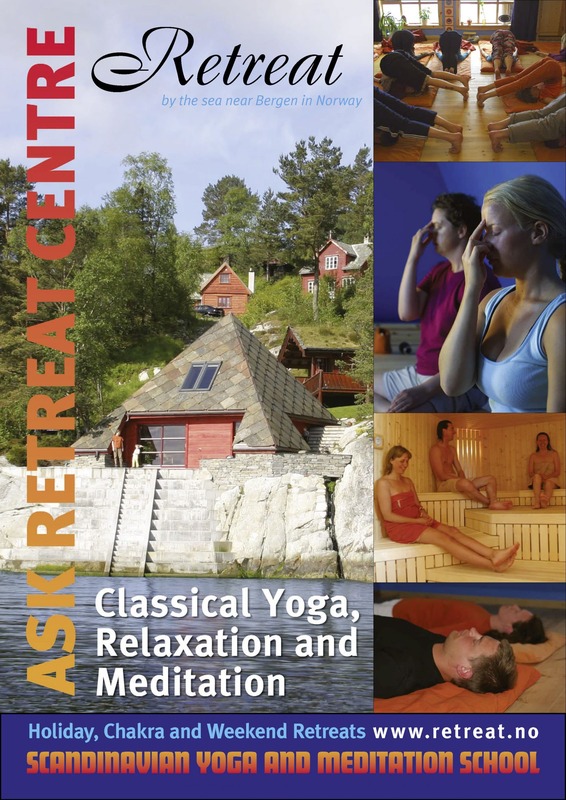 Please click the image to download the brochure about the Retreats at Ask Retreat Centre. 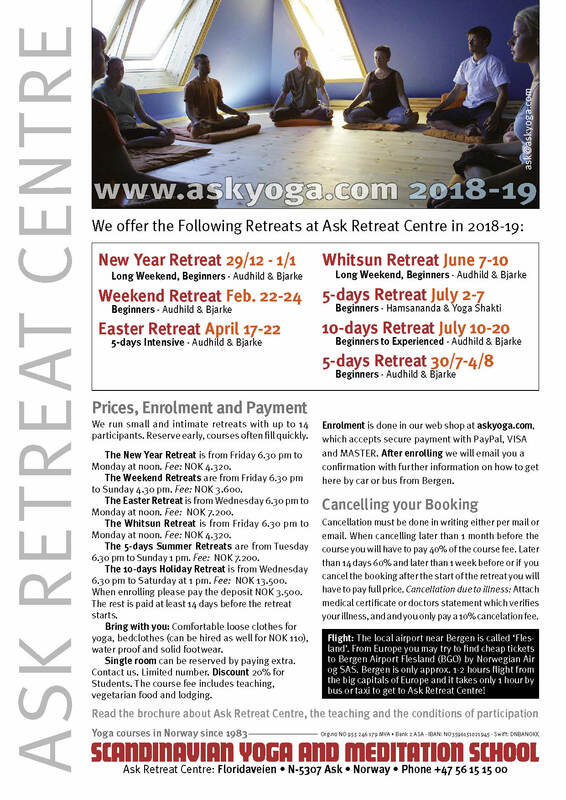 Please click the image to download the latest Dates / prices for the Retreats at Ask Retreat Centre. 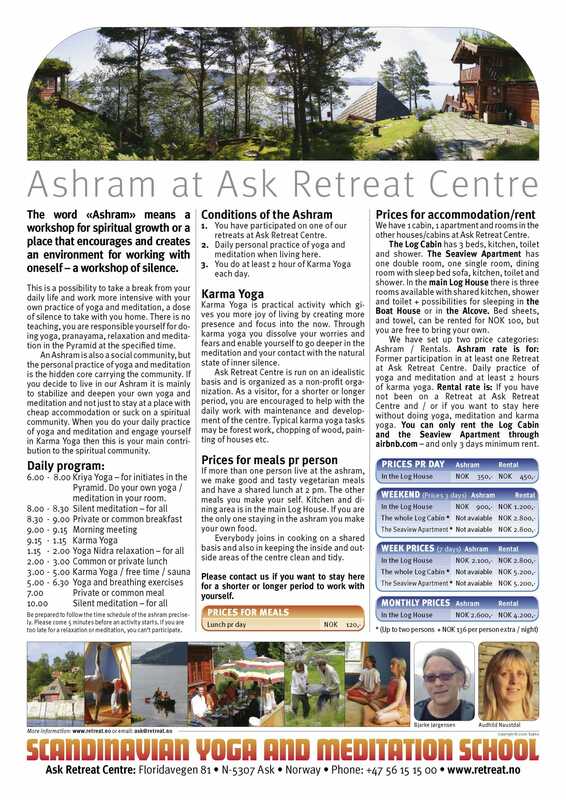 Please click the image to download the brochure about the Ashram / Rental possibilities at Ask Retreat Centre. 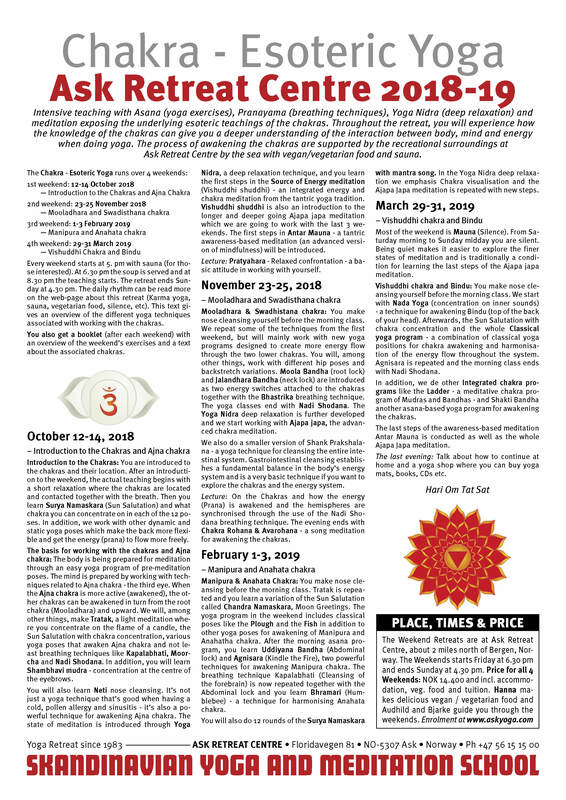 Please click the image to download the brochure about the Chakra – Esoteric Yoga Retreat at Ask Retreat Centre.